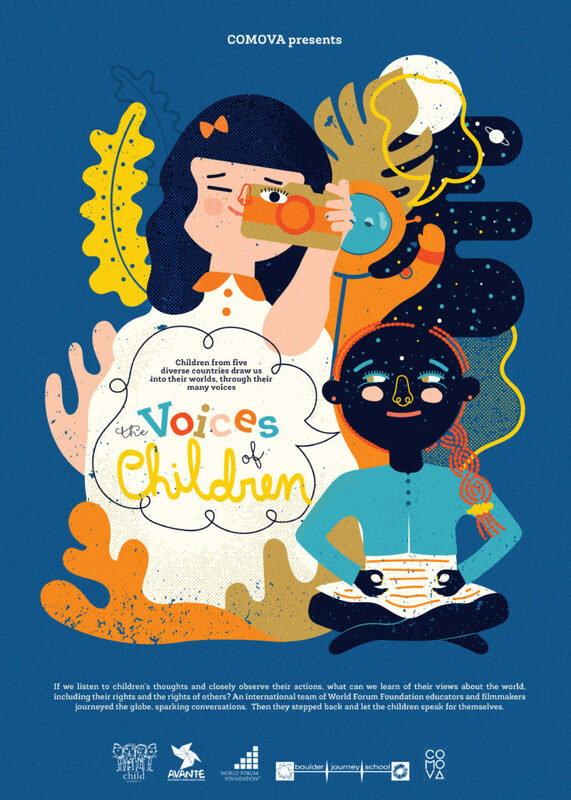 Children from five diverse countries draw us into their worlds through their many voices. When you play the film, above, be sure to click the “CC” button in the video toolbar to turn on captions in the language of your choice. Click the four arrows in the toolbar to play the film in “Full Screen Mode” which hides menus and other windows. To download the film for offline viewing, please see instructions in the Facilitator’s Guide. We see children as current citizens of the world. As active and capable community participants, their perspectives can inform our thinking about rights. In this small film with a big heart, we meet young children from communities around the globe, bringing us a glimpse of their extraordinary diversity. Behind their experiences lie messages, both universal and informed by place, time, and culture. The children share their ideas, hopes, challenges, and capacity through many forms of expression. We watch as they talk, sing, work, dance, and play. They are telling us their understandings of rights. Engage directly with the children in the film and listen deeply. What messages do you hear? This film is a provocation for thought, dialogue, and action. View the film online, above. Be sure to click “CC” in the toolbar to turn on captions in your preferred language (Chinese, English, Portuguese or Spanish), and click the 4 arrows to enter full screen mode. For offline viewing, please fill out a short form to download the film in the language of your choice (English or Portuguese only). We’ve provided additional materials to help you screen the film for a group, learn more about the project, share feedback, and, we hope, donate to our ongoing efforts.